"There is a new Simulator Challenge available for Drax. Complete the Challenges to unlock the Guardian Drax the Destroyer uniform!" Welcome to the Simulator. These challenges have been generated specifically for Drax to face alone. The Simulator tests Drax's ability to Obliterate the enemy. The enemy in this fight requires significant damage output dealt in a single turn to be defeated. This session is a duration fight. Keep your health up to get through all waves. Finish a full set of Guardian Simulator Challenges in the Simulator to complete this task. New Challenges unlock each week! 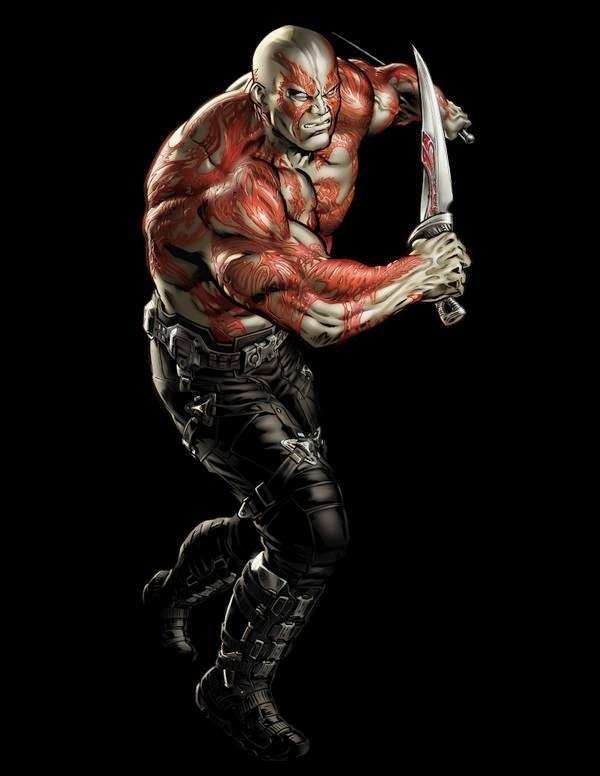 for those who didnt get drax on pvp, will we be able to get him this way? is Drax a good buy? is the reward even wothit?? (guardian insignia? if you finish the reward will you get the alt costumes for free??? 1.- Not so sure!, Some people say it is, some not. 3.- Once you finish the task, you must spend CPS for the alt. Ya pretty much easy, good for new players. High PVP bonus items for each win. this game is going down hill these task are becoming impossible, guest it is time to move on to a fun game!!!!!!!! •The enemy in this fight requires significant damage output dealt in a single turn to be defeated. yeah this is not happen!!!!!!!!!!!!!!!!!!!!!!!!!!!!!!!!!! same experience here.. i guess the recommended level here is 9.. or 14! Who do you think is next, groot or gamora? the last one of raccoon is unbeatable for me. level 10 raccoon! how? looks like?. they bought ionizing iso for crying out loud thats 10 gold right there! anyone here who finished the task WITHOUT equpping augmented iso?? I did it without buying anything, just lvl 11 Racoon. 1. The first guy you do Murder you on and then just a couple Blams. You should have to reload after that. 2. When you get to the three people you should have four bullets. 9. Now, hopefully one guy is dead, if not both, and use murder you on the final guy and blam again. 10. Keep using blam! The fire should be enough to take them out. I hope this makes sense and I hope this helps. how about drax set level 3? it's very difficult to me? Any tips on gamora set battle 5? any tips on 5th task for groot? I got the Guardian Insigna!! 5th task for Groot is easy at level 6-8..just strengthen your Groot with ISO (esp the Attack and Health) First do the 2nd attack on Goblin to get enraged then attack the Blaster bat with the 1st attack, do this move (attack GG first to get enraged) to the 2nd bat.. you will probably be a cutling facing Goblin but use the 1st buff to toughen you up until you grow back and you attack GG with the 1st attack.. got it on my third attempt!